A small section of Interstate 820, a loop around Ft. Worth, Texas, was closed down for this stunt, and to all of the people inconvenienced in the middle of the night I’m sorry, but it was worth it. 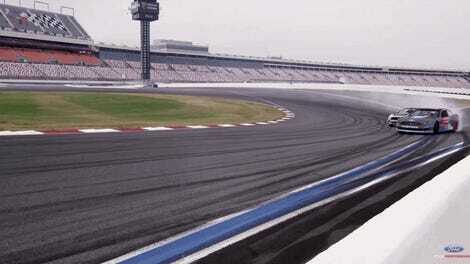 I’ve dreamed of being able to drift a cloverleaf, and have been known to do a couple laps trying to perfect my apexes and track outs, but never sideways. This would be an awesome opportunity. Of course it would take a 900 horsepower Mustang and the cooperation of the local PD. 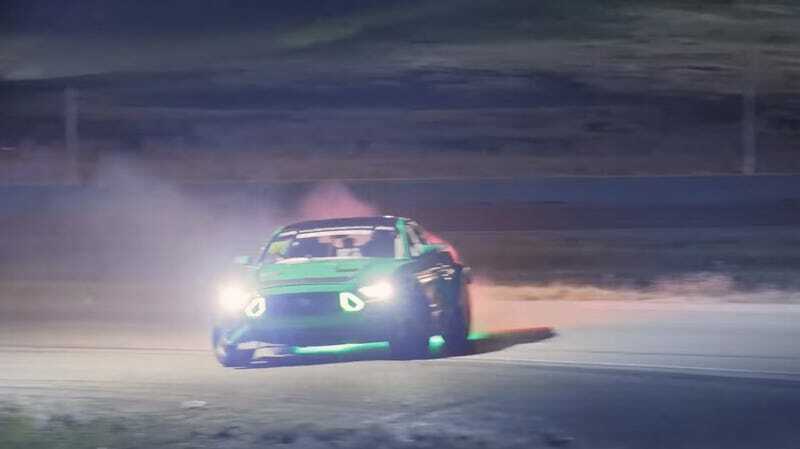 Pro drifter Gittin is a serious talent behind the wheel of a sideways Mustang, and didn’t disappoint in this case. He’s got a very heavy throttle foot, but knows exactly when to modulate and brake to sustain a really long drift. In celebration of St. Patrick’s Day, Ford and Vaughn set up this stunt to drift a 1.4-mile four leaf clover. And don’t even bother trying to pinch him, he and the car are wearing plenty of green. Hit the play button and crank it up!